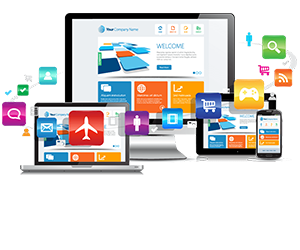 We design and develop your apps & websites using our expertise in mobile platforms development, following the international industry standards with our UX/UI creativity. Our customer portal allows customers to log into Their account, to create service appointments, or To check the service history of their vehicles, and Perform a variety of other tasks. Support multi senarios of Data capturing and asset tracking solutions plus barcode reading and capturing systems, Wide range of Data Collectors, RFID readers/ writes Tags, handheld devices and applications. Dhow provides Smartphone Apps that are integrated with the Auto-Management database. Using these apps, customers as well as employees can interact with the system while on the move. Customers can use the App to create a Service Appointment,check the availability and prices of new or used cars, or quickly locate the nearest service location, along with directions on how to get there. Employees can use these Apps to authorize discounts, credit limits, or to check the latest sales figures. Besides the smartphone apps, Dhow also develops tablet PC apps for situations when a bigger screen is required to perform more complex tasks than those that can be done using a smartphone. Tablet PC apps allow the user the freedom to move around with the customer without being tied down to the laptop or PC. This technology can be leveraged for solutions like creating an estimate for a damaged vehicle, performing an evaluation of a used vehicle, receiving a vehicle from a lease etc.